Last updated: April 20, 2018 at 2:21pm by Savanah – West Virginia introduced a bill, HB 3067, on January 10th to legalize online poker and casino games. Last March, the same bill was presented to legislators but it never received a vote. If the Supreme Court rules in favor of legalizing sports betting in the U.S., West Virginia could be ready to accept bets within three months. The state’s lottery department has mentioned they are seriously looking at legalizing certain forms of online gambling in the very near future including poker, lottery tickets, and casino style games. Patrick Morrisey, West Virginia’s Attorney General, has stated daily fantasy sports (DFS) wagering is legal. West Virginia offers several legal forms of gambling within their state and many believe they will be a part of the first wave of states to regulate online poker, especially if more states in their area follow suite to create interstate poker over the internet. As like most state laws, they are very broad on the term “game of chance”. They do not specifically list poker as a game of chance and many experts feel it’s a game of skill. Since the law does not specifically include the game of poker, many could make a strong case that poker is not a game of chance. This is often a hot topic of debate. This is where the law could possibly bite you in regards to poker since it mentions a “gaming table”. In both the statutes listed above, such violation would result in a misdemeanor along with potential fines or jail time. 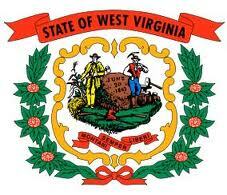 Does West Virginia Law Specifically State that Playing Online Poker is Illegal? Here at www.USpokerSites.us, we always advise people to speak to a local attorney for exact clarification on the laws within their state. With that being said, we could not find any law in West Virginia that specifically states that playing poker online is illegal. Again, West Virginia could easily follow the lead of states within their geographical location, like New Jersey and Delaware, to be one of the first states to regulate poker over the internet. West Virginia offers several legal forms of gambling which include the state lottery, pari-mutuel wagering, racetracks, commercial casinos and charitable gaming as the main forms. Let’s look more closely at a few of these different forms of gambling that are accepted in the state of West Virginia. The West Virginia Lottery was created in November 1984, when voters passed a lottery amendment to the state constitution. The first instant scratch tickets were sold on January 9, 1986. In 1988, they became a charter member of the Multi-State Lottery Association’s Lotto America game, now known as the Powerball. The profits from lottery sales were originally sent to the state’s General Fund. In 1989, lawmakers dedicated lottery profits to programs benefiting education, senior citizens, and tourism. Later they also included elementary, secondary, and higher education to receive a portion of the funds collected. The lottery stretched its wings in 1994, when West Virginia lawmakers passed legislation allowing slot-machine style video lottery terminals at racetracks. Travel Keno, an online game, was legalized for certain locations licensed for the sale of alcohol. 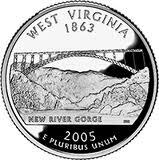 For more information you can find the West Virginia Lottery Commission’s contact information here. West Virginia’s lottery generated almost $1.14 billion in revenue for the 2016 fiscal year, down around $27 million from the previous year. Commercial casinos were legalized in 1994, and West Virginia currently has five operating casinos. They do around $1 billion in annual revenue and The Casino Club at The Greenbrier is a popular destination, attracting people from all over the world. The other four casinos are the Hollywood Casino at Charles Town Races, Mardi Gras Casino and Resort, Mountaineer Casino and the Wheeling Island Casino.